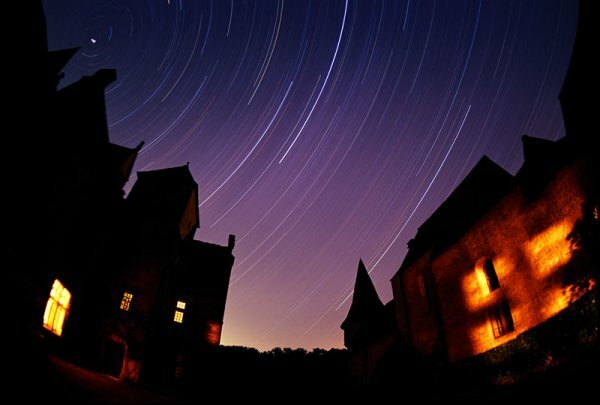 Stars trail on a 3.5-hour time exposure of the sky, showing the effect of the rotation of the Earth. Polaris, the North Star, which lies close to the North Celestial Pole and therefore appears nearly unmoving, is at far upper left. Photo by Greg Dimijian.